Most restaurants are experiencing great success with online ordering systems. In fact, most customers now expect most restaurants to offer online ordering systems. The U.S. has a passion for pizza that seems never ending. The taste, shape, and style can be the subject of heated conversations - and don’t get started on the debate between NY thin-crust and Chicago-style deep dish pizza. Despite differences of opinion about which style is best, Americans eat an average of 23 pounds of pizza each year – so everyone agrees that pizza is a favorite. Despite what seems like a pizza place on every corner, there is still an extremely strong demand for pizza, and ample opportunity for entrepreneurs, especially for the franchisee. How Important Is Personal Development for Franchisees? Personal development is a lifelong process and for many franchisees, it is the key to their success. Regularly assessing your qualities and skills helps you set concise goals and maximize your potential. 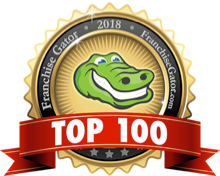 It is important to recognize there is always room for improvement, as that will not only assist you on a personal level, it will also help you in your franchise. When you consider investing in a franchise, your first thoughts might be that brand recognition is the most important factor, or that the location of your unit will influence whether or not you succeed. These things are important, however, there’s another element that can be just as important to your success: the franchisor/franchisee relationship. How Does the Franchisee Selection Process Work? Now that you’ve done your research and are ready to take the plunge, it’s time to get serious about becoming a franchisee. 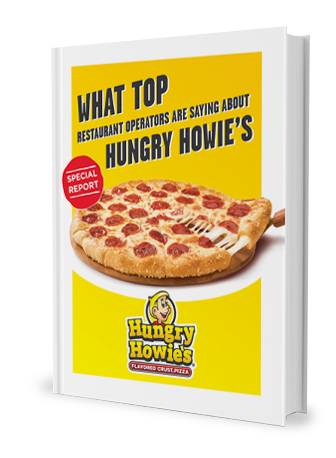 Buying a franchise is a complex investment, so there are several criteria you must meet in order to become a Hungry Howie’s franchisee. You hear a lot about finding a work-life balance. You should work to live not live to work, right? Moreover, you need to allocate time away from the office to enjoy life. However, at the same time, you need to be fully committed to your business. Are you confused now? We sure are. Regardless of all the things you hear and read, managing a work-life balance depends on your real life, and so it requires “real life” solutions. The base solution is to determine how you can integrate work and life instead of looking them as two different subjects. Do Pizza Franchises Make Money? 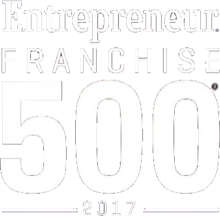 Owning a franchise has become an increasingly popular career path for a wide swath of people: college graduates who want to work for themselves, people leaving the corporate world for a job they have more control over, baby boomer retirees starting a second career, and experienced franchisees looking for a better business model, are all in the mix. Those looking to enter the world of franchising in a lucrative industry should consider a pizza franchise. As a business owner, you may not always be aware of problems and have to rely on customers to let you know when they're unhappy. The fact is, most customers that have a bad experience simply don’t return. If a customer does provide feedback, it means they’re a fan of a brand and want to be rescued. They’re giving the business owner a chance to make things right, which is why it's so important to respond and act quickly! One of the benefits of opening a franchise is becoming your own boss, something many people desire. But the benefit of being a franchisee is that every good leader needs good leadership. When opening a franchise, you will be provided with some guidance which can help you in your efforts to be successful. Strong leadership is often a great advantage to new franchisees. For those seeking new career opportunities, franchising can be an attractive opportunity, especially for anyone who wants to be their own boss. However, once you begin to jump into the research phase, you may become overwhelmed by the opportunities available, financial requirements, and entry process. If you’re considering becoming a franchisee, consider these tips before making the leap.